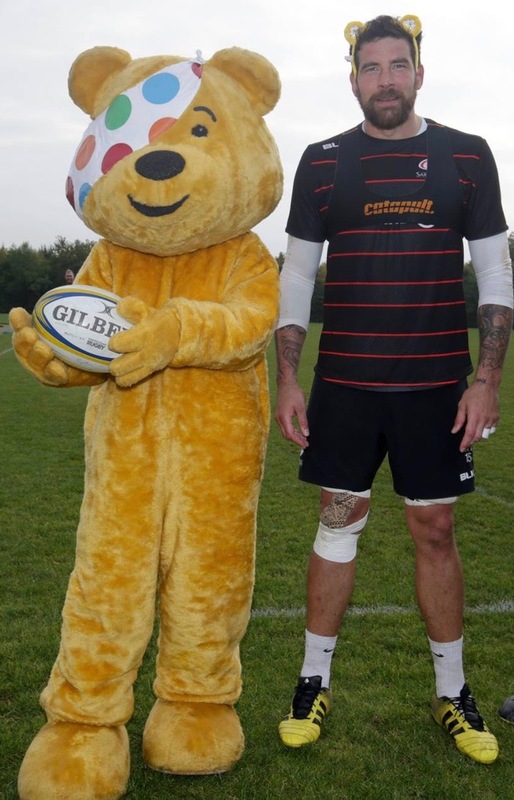 Following the enforced retirement earlier this season of Alistair Hargreaves with concussion and subsequent injuries to international locks George Kruis and Maro Itoje, Saracens have today announced the emergency loan signing of burley 2nd row Pudsey Bear from the BBC. Having failed in his attempt to lure Springbok lock Eben Etzebeth to Allianz Park on a short term deal earlier this month, Sarries DoR Mark McCall moved decisively when it emerged that Bear might be available. "Pudsey is a little short of match fitness," said McCall, "but he's a big unit and has bags of natural aggression. He's a bear for f**** sake." It is expected that Bear will go straight into the Saracens starting XV on Saturday against Leicester provided he passes a late fitness test on an eye injury.